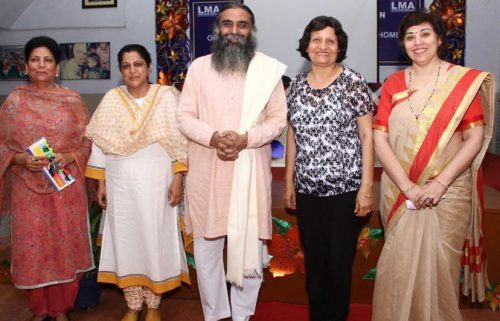 Ludhiana : The women forum of LMA organized an interactive session on Organic Farming in kitchen gardens, which was hosted by BCM School, Dugri. It was conducted by Mr. Umendra Dutt (Executive Director, Kheti Virasat Mission) who was accorded a floral welcome by Mr. R. B. Khanna (Education Advisor, BCM Institutions) and Dr. Vandna Shahi (Chairperson, Women Forum, LMA) it was an effort to curb the destruction of precious nature on the pretext of development and prosperity. The session was attended by women members of LMA where they were made aware of the benefits of organic farming. He enlightened the audience with the disastrous effects of pesticides and fertilizers on both health and environment. It was a highly knowledgeable session that acted as an eye opener for the Ludhianvis.